K-12 Workshops are available by the hour, or as a full-day artist residency. Email bizzvarty@gmail.com or visit www.Movement Experience.wordpress.com for more information. Dance Basics is an introduction to dance for students of all ages. Students will explore the curriculum’s elements of dance (body, space, force & time) through basic dance movements in a chosen style of dance. Modern, Hip Hop, Jazz, Ballet, cultural dance and combinations of styles are available. The movements will be combined in sequences and students will explore different pathways through space. Working together to create a short composition, students will learn basic dance vocabulary and experiment with creative movement and improvisation. Expanding on dance basics, the Performance & Composition workshop will explore artistic expression and choreography basics. 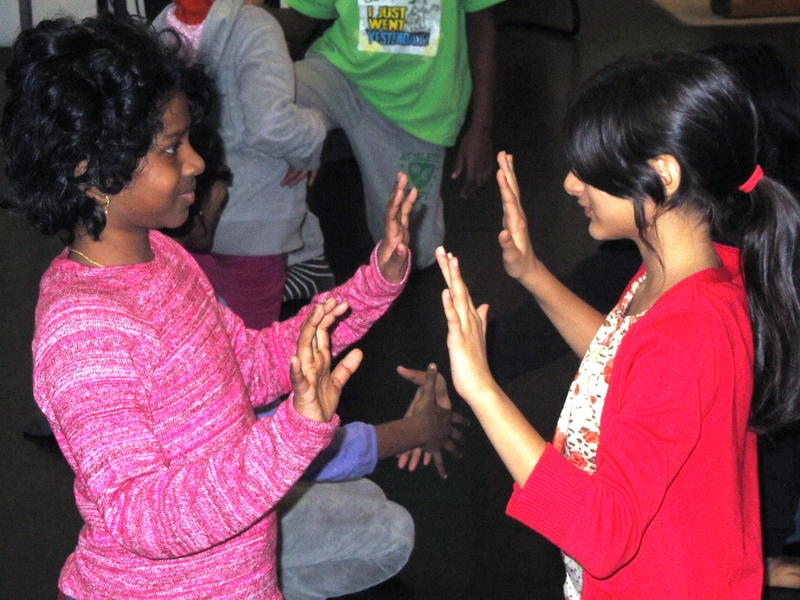 Working with gesture and facial expressions, students will experiment with improvisation techniques and learn the basic elements of dance composition. In groups, students will create a short story told through dance and present it to their classmates, giving them an opportunity to both perform and observe dance. A combination of dance and yoga movements will get students moving in a variety of fun ways and bring the benefits of physical activity into the classroom. Exploring the basic elements of physical fitness as well as how to move together as a group, students will learn to balance the effects of sitting at a desk through movement. Teachers can use the techniques in this workshop in their classroom to help students warm up their bodies and focus their minds.